Tea is fast becoming one of the most popular beverages used to aid weight loss. Produced in a number of different forms, specifically as black, green, white, pu-erh and oolong tea, the type most usually drunk when dieting is sourced from the Chinese Camellia sinensis plant, Camellia sinensis var. sinensis. However, tea made from dandelion roots has also been found to be an effective tool for losing weight. 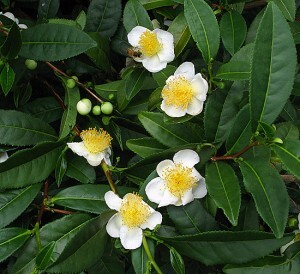 While Indian tea also comes from the Camellia sinensis plant, it is a different variety, namely Camellia sinensis var. assamica, and it is fermented. So don’t confuse the two. Apart from its value for people who are dieting, tea forms part of several social conventions in a number of cultures including Japan, where it forms a vital element of tea ceremonies, and Britain where both high tea (at suppertime) and tea breaks (in the workplace) are commonplace. There is also a well ensconced tea culture evident in the USA. Young leaves and buds are used to produce white tea. Traditionally produced in the Chinese Yunnan Province, pu-erh tea has long been used as a health beverage to aid weight loss and reduce fat. The caffeine in the tea stimulates the heart, central nervous system and muscles in the body. It also contains high concentrations of antioxidants that help protect the heart and all the other organs. While there has not been much research done on the long-term effects that pu-erh tea has on those drinking it, it is believed that a compound known as lovastatin in the beverage has a profound effect. Lovastatin is the very same chemical that is used in some prescription medicines for lowering cholesterol. Further, research studies undertaken on animals indicate that blood fats called triglycerides and “low-density lipoprotein” (the bad LDL cholesterol) may be reduced. Be aware that there are some side effects related to drinking pu-erh tea. For instance, the high caffeine content in the tea is not good for people with high blood pressure, diabetes, glaucoma, heart conditions, anxiety disorders, irritable bowel syndrome and even diarrhea. People suffering from osteoporosis should also avoid drinking pu-erh tea as it tends to flush calcium from the system, again due to the caffeine content of the tea. And both pregnant women and those who are breast-feeding should avoid the product because of its caffeine content. It should not be given to children either. Oolong tea has similar effects to pu-erh tea, with caffeine stimulating the heart and central nervous system, and lowering so-called bad cholesterol. Traditionally it was also used to sharpen people’s mental abilities and to promote alertness. Oolong tea is also known to increase energy. In 2001 the U.S. Agriculture Research Services undertook a study to see how effective oolong tea was in terms of weight loss. Volunteers were given four different beverages over a period of three days, and their energy levels were monitored. It showed that those who drank oolong tea burned more calories and displayed a 12 percent increase in burning (or oxidizing) fat. According to lab physiologist Dr. William Pumpler, this was due to the combination of the caffeine content and antioxidant EGCG. Another effect of oolong tea consumption is that it blocks the absorption of carbohydrates and certain fats. Additionally, it is said to help strengthen teeth and also prevent tooth decay, and is good for the skin. Researchers say it also helps to prevent cancer and heart disease and is beneficial for those who suffer from diabetes. It also has the effect of reducing blood pressure. Warnings of those who should not consume oolong tea are essentially the same as for those who should not drink pu-erh tea. Green tea diets have gained acclaim in recent years primarily because antioxidants (specifically epigallocatechhin gallate or EGCG) is known to stimulate the metabolism and in turn increase energy that burns fat. EGCG is also thought to regulate levels of blood sugar that slow down absorption of carbohydrates into the body. This also helps to burn fat because it increases the body’s endurance levels, so we can successfully tackle additional exercise which in itself has the effect of burning fat. Green tea also has very high levels of polyphenols that trigger an enzyme that is able to dissolve the triglycerides (blood fats) in the body, ultimately reducing the fat content of the body – which of course means weight loss. Generally it is recommended that if combining regular consumption of green tea in a weight loss program, you should be drinking two to three cups per day ideally without milk or sugar. Children, and pregnant and nursing mothers should not drink green tea unless a physician has examined them and approved it. Not as well known as other types of tea, white tea is very high in antioxidants. In 2004 a study conducted at Pace University in New York City concluded that both the anti-bacterial and anti-viral effects of white tea were considerably more than those of green tea. In terms of weight loss, it is the antioxidants in the tea that boost the metabolism and burn fat. A study by German scientists published in Nutrition and Metabolism in 2009 showed that white tea had the ability to stop the new fat cells from being produced. They also confirmed that the tea stimulated the burning of body fat. Lead researcher, nutritionist Dr. Marc Winnefeld said in his report that it was EGCG along with caffeine and the photochemical theobromine that made the difference. As with other types of China tea, it should be avoided by pregnant women, those who are breastfeeding, and children. A well-known backyard weed, the dandelion is also a modern herb that can be used medicinally in a number of ways – including to help lose weight. Used by the ancient Chinese people for digestion, it is also considered effective for improving the flow of milk in nursing mothers, and for inflammation. 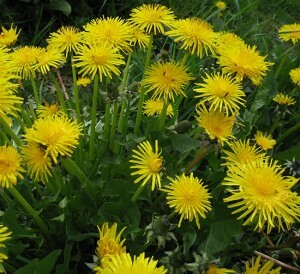 Several North American tribes are believed to have used dandelion in various forms to increase their energy levels, as well as for treating indigestion, constipation, stomach aches, and heartburn. The effectiveness of tea made from dandelion roots comes from its diuretic qualities. By increasing the production of urine, it effectively flushes toxins out of the body. Results of a research study published in an alternative and complementary medicine journal in the U.S. in 2009 showed that dandelion extract increased both the volume of urine generated, as well as the frequency of urination. This was after they had taken eight mm of extract three times a day over a period of just 24 hours. 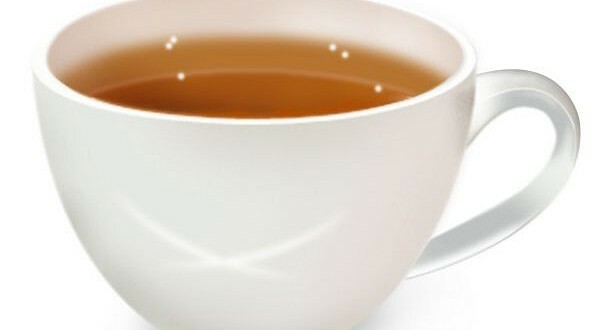 Just remember that when starting a weight loss program, tea alone is not going to do the trick. The ultimate key to losing weight is to follow a sensible diet and to exercise regularly. Generally it is recommended that you eat small meals more often when dieting.